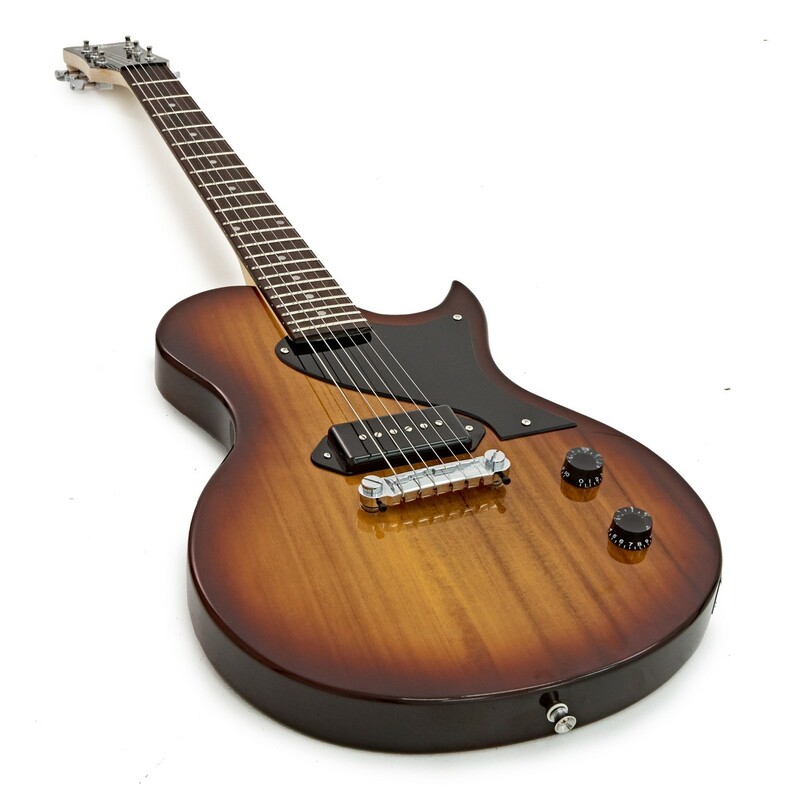 The New Jersey II Electric Guitar by Gear4music in Tobacco Sunburst is a new and improved model that features a single P90 pick up for authentic rock tones and a big sound suitable for all players. With a lightweight Paulownia body and smooth poplar laminate fingerboard this guitar is suitable for beginners, as well as being the perfect addition to any arsenal. The maple bolt-on neck construction means the Gear4music New Jersey II gives you both added resonance and a brighter tone, all wrapped up in a unique, gloss tobacco sunburst finish. The New Jersey II Comes supplied with a free 1/4" jack cable and gigbag, so you have everything you need to start gigging straight out of the box. 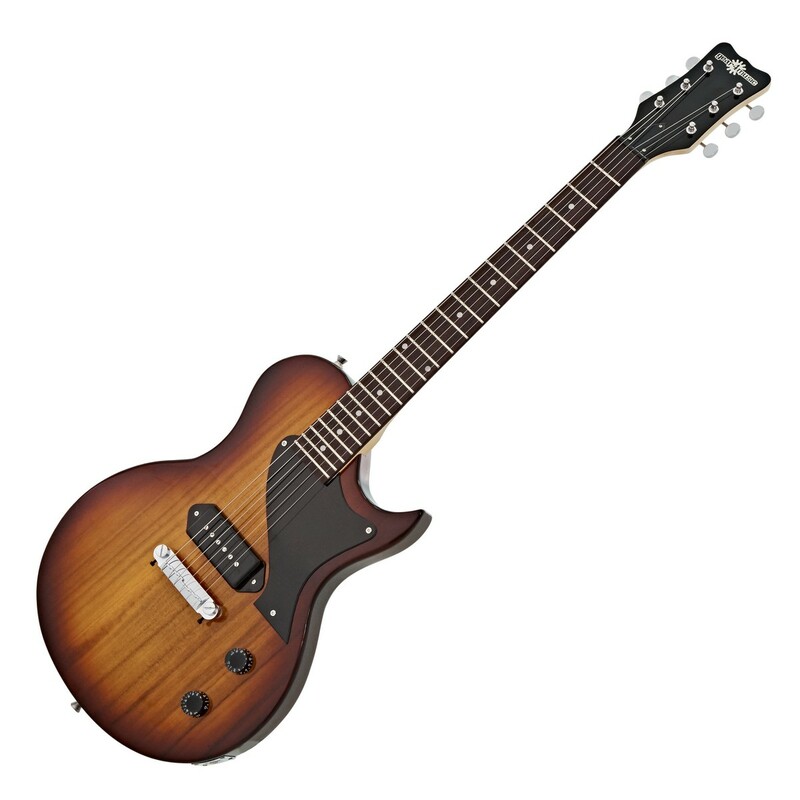 The Gear4music New Jersey II guitar has been created with the versatile musician in mind. 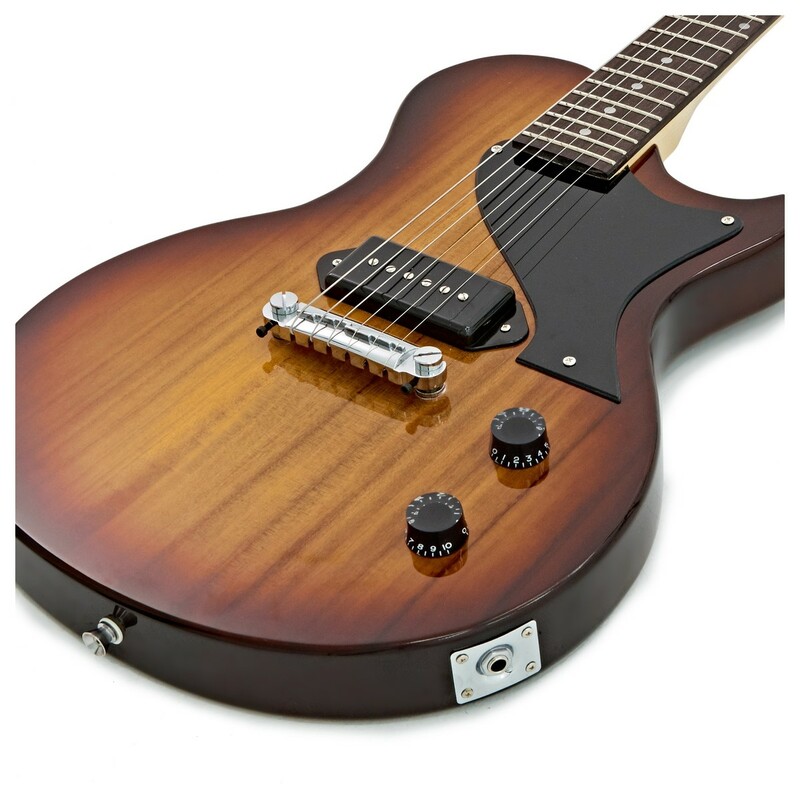 Featuring a Paulownia body with a unique tobacco sunburst finish, this guitar has a full and rich tone that in turn produces resonance and depth to your playing. Finished in a comfortable rounded shape and a high quality gloss finish, this guitar is suitable for all kinds of players and genres. The full size, 22 fret neck combines a Maple back with a poplar laminate fingerboard. The smooth Maple allows comfortable, quick and easy movement along the neck for those faster licks whilst the guitar's cutaway design lets you rip through blistering solos with easier access to the higher frets. 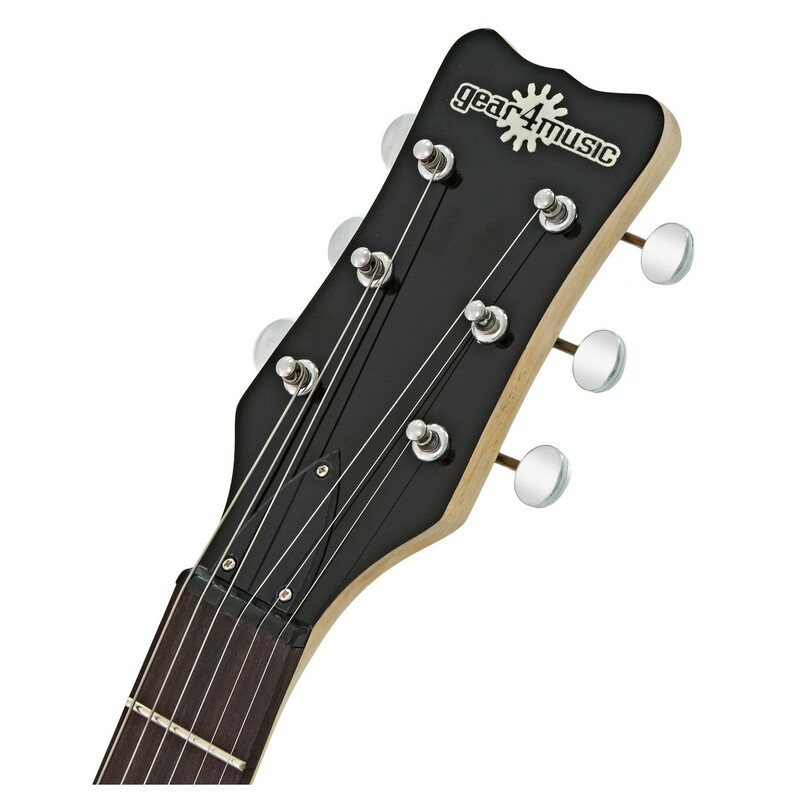 The fingerboard adds a mellow depth and warmth to the guitar's sound with plenty of sustain. The P90 produce a characterful, vintage and authentic tone that compliments the fine tonewoods used to make this guitar. Great for musicians of all genres, P90s are famed for having a big sound that can suitable for all genres and styles, especially rock. The featured pickups offer minimal noise as well as a rich, balanced tone. 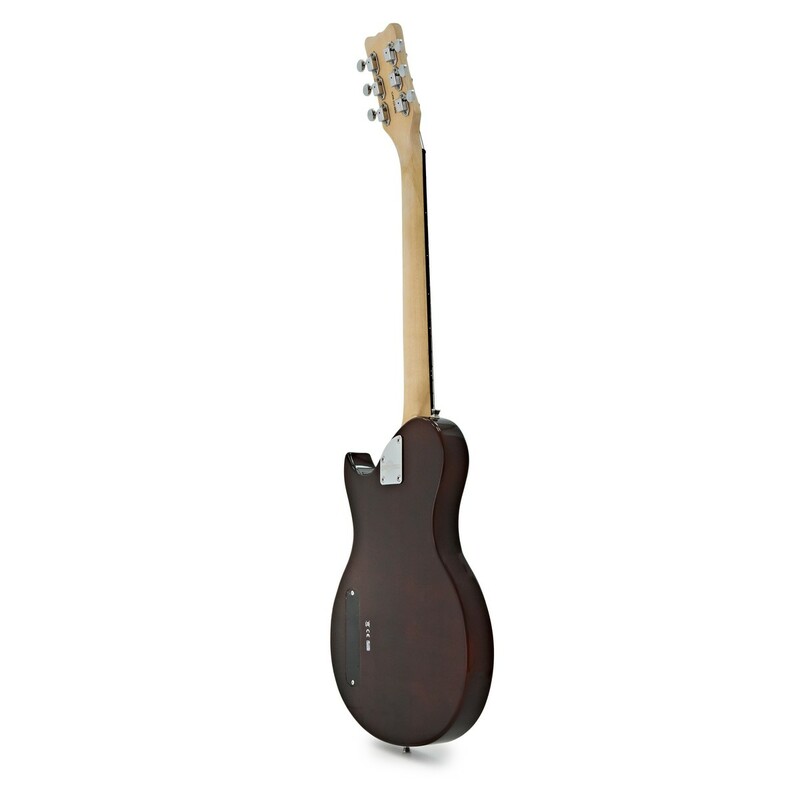 This electric guitar comes with high quality hardware that is stylish and durable. All the component parts for this instrument have been chromed for a stylish look. The additional tuneomatic bridge allows for accurate intonation throughout the range of the guitar.